Cane River Campers (over 25 years old) celebrated the opening of Grand Ecore RV Park. The RV park is located past the Grand Ecore Visitor Center and the shooting range on Grand Ecore Road. The park is well-shaded and run by Lane Miller and his staff. The Cane River Campers, who have experience with RV Parks, were impressed. 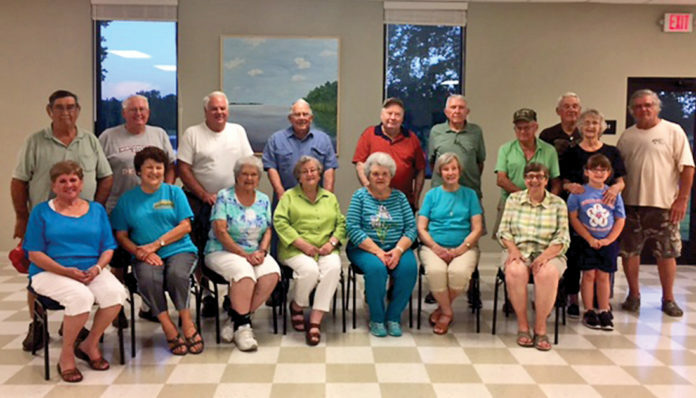 From left are President Carol and Louie O’Quinn, Gayle and Loren Lindsey, Carrie and Wayne James, LaVerne and Crosby Adams of Winnfield, Dr. Margaret Wheat-Carter and Charter Member Billy Carter, Maxine and Bob Pender of Bernice, Ingrid and John Le Blanc of Welsh, hosts Myrna and Les Dunn and Kinslee Dunn.